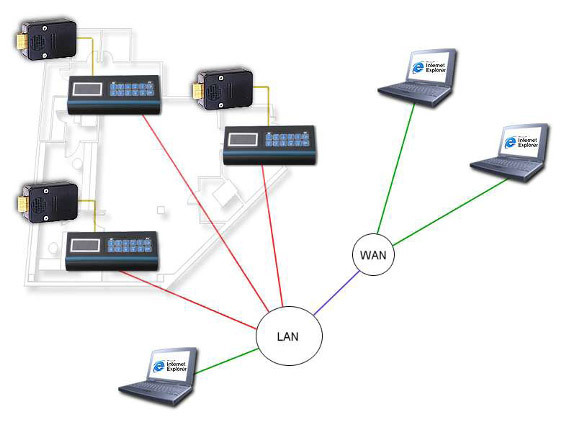 We offer you an extensive portfolio of innovative, high-quality, products and systems for security and safety from Sargent and Greenleaf (S & G) – featuring intelligent functionality and modular concepts that grow with your requirements and all of which are designed to minimize your lifetime cost of ownership. S & G has built a strong reputation as a provider of quality security products to the banking industry. From vault locks to under-counter safes, to safe deposit boxes, S&G has the banking solution to fit the specific needs. IP Series, Mechanical & Electronic Time Lock, Biometric Lock and ATM Lock offer excellent security solution to this segment. The ultimate high security safe lock. It offers a 400-event, time and date stamped audit trail capability that records all lock activity. It can be set to Bank Mode for everyday internal operation and Service Mode for access by time dependent, one-time-usage codes needed for secure ATM servicing. We are market leader in India in the ATM safe segment with 90% market share and installation base of approx 175K high security safe locks installed out of 228K ATM’s sold in India. With state of the art fingerprint BIOMETRIC technology, this keypad provides a whole new level of security and convenience. 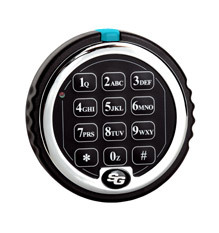 The S & G Biometric Keypad is a replacement keypad that works with many Sargent and Greenleaf electronic safe locks to provide a whole new level of security and convenience. Its unobtrusive, easy-to-use fingerprint reader lets you operate your lock by authorized fingerprint alone, or by code and fingerprint. 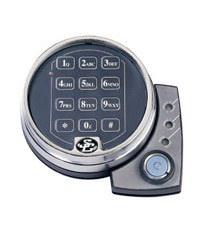 The Time Lock Keypad adds the extra security of a seven-day repeating time lock schedule to different lock models. 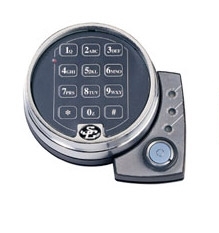 Its secure encrypted communication protocol prevents bypass of the time lock schedule by keypad replacement. The Audit Lock offers a 400-event, time and date stamped audit trail capability to record all lock activity, multiple codes, 99-minute time delay, and duress code. 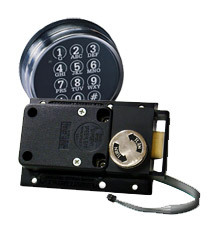 It can be operated as a single control, dual control, or supervisor/user configured lock. 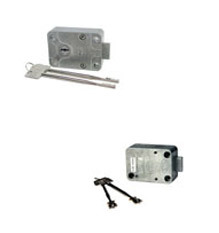 S & G door lock has many applications ideally suited for doors, day gates for vaults, high security zones or any controlled area where an auxiliary door lock is needed. This highly flexible, technology-enabled solution lets you program and manage S&G® electronic locks across your entire enterprise and, except for opening the vaults, eliminates the need for an authorized, physical presence at your safe locks. Powerful remote control capabilities let you program and manage large groups of locks, enter new users, delete users, instantly pull audit trails from our audit trail locks, create exception reporting, and more – all remotely. From Group 2 safe locks to rugged vault locks, S&G has set the standard others have tried to emulate for nearly 150 years. 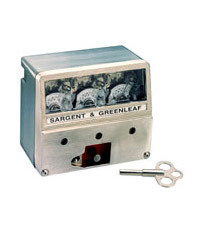 Sargent & Greenleaf offers many dials and rings for mechanical combination locks. These devices are proven deterrents to armed robbery, and their effectiveness has been evident ever since the days of notorious outlaw Jesse James. Sargent & Greenleaf offers both mechanical and electronic time locks, and time delay is built into most of its electronic safe locks. 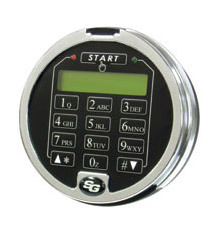 From small safes to massive vaults, S&G has a time lock to fill your security needs. A viable alternative to combination locks, and combine ease of use with a level of security not found in ordinary key locks. It is imperative that they provide a level of pick resistance far beyond the norm and incorporate features to deter physical attacks. 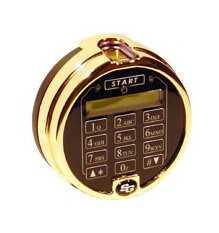 Key operated safe locks are often found on small, lightweight safes, and interior locking compartments. 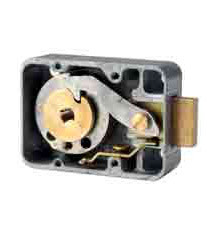 They're also ideal as secondary locks on high security safes. S & G offers more styles of dials and rings than anyone, with a wide variety of attractive finishes-everything from black and white to 24K gold plate. All dials feature machined brass spindles for strength, smooth operation, and long life. Most styles are available in key-locking versions if desired. These are specialized locks, designed for high security applications or resistance to extreme weather conditions. S&G has supplied the world's most rugged padlocks to the US Government for decades. From munitions bunkers to file cabinets containing sensitive information, the name on the padlock has been Sargent & Greenleaf.